This valuable program resource for clergy, worship planners and lay leaders offers practical tools for celebrating the Christian year at church, home or school. Organized around the cycles of Christmas and Easter, it provides activities, craft ideas, prayers, meditations, and ways to encounter scripture. 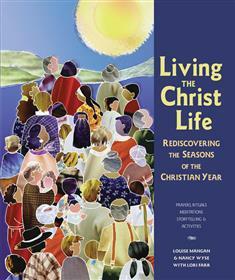 Background information to origins of festivals, colors, symbols, and art of the various seasons will help you deepen your understanding and experience of Christian faith. Indexed by scripture reference and theme. Includes a glossary. Permission to photocopy portions of text and prayers for use in worship services.